Super opportunity to own a well kept family home at an affordable price. From the moment you walk in it feels like home. You'll love the open and inviting feeling of the character in the foyer, living room and dining rooms along with thecozy wood burning stove. Bright good sized kitchen. Huge master bedroom with a vaulted ceiling and a unique mini office nook. Bathroom with a bear claw bathtub and a skylight. Upstairs has two open bedroom areas & no closets. Partly finished 6'3" basement w/a bedroom & adjoining TV room. No suite potential. The house is located at the very back of the large lot. 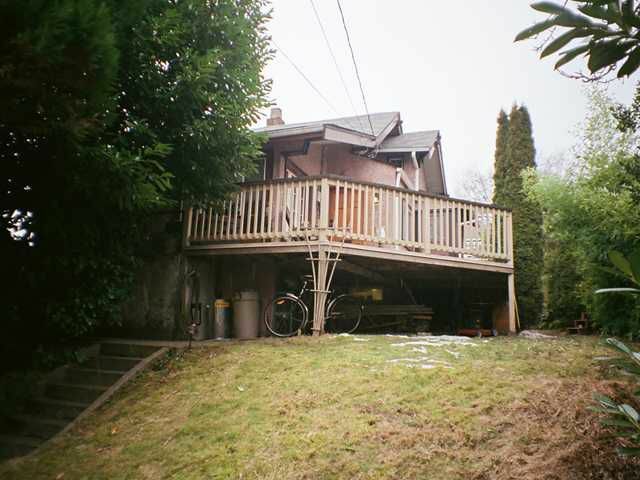 You have a big sundeck overlooking the huge front yard w/hedges & trees providing total privacy. Quiet street. Excellent neighbourhood!